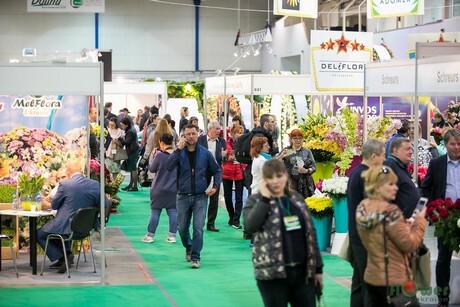 "Despite the geopolitical challenges, the Ukrainian market offers opportunities"
The Flower Expo Ukraine, which will again be held in Kyiv from 16-18 April, has grown again a bit compared to last year. This year the fair is being held for the 13th time. From the Netherlands, 39 companies are participating, and for the first time since the crisis of 2014, a number of participants from South America have registered. We spoke with Kuno Jacobs from organizer Nova Exhibitions about the prospects. “Believe it or not, but last Friday the number of online pre-registrations was 270% higher than at the same time last year. I don't have any idea what the reason is. Last year, the fair attracted a total of 8,970 visitors, including many florists. The rise in pre-registrations indicates that the interest in the fair is still at an undiminished level." In any case, there is also interest from the trade. For example, there is a group of 6 companies from the tree nursery sector that are participating for the first time. Their participation is co-sponsored by the Dutch embassy, which has supported the trade fair for many years, and will organize a get-together with drinks for the exhibitors, and the ambassador or agricultural council will come to open the fair. This collaboration has now been implemented a bit further. Anthos, the industry organization for trading companies in flower bulbs and tree nursery products, will also take part in the Holland collective for the tree nursery sector. Together with the embassy and Anthos, they also organize a conference on the second day of the fair that will focus on public green spaces, "Green Future of Your City". There are no major changes in the list of participants. Around 70-80% consists of repeat bookings, says Kuno. "The exhibition offers participants the opportunity to meet all their customers from Ukraine once a year at a central location. This saves them a lot of travel time and also offers them the opportunity to make new contacts. The exhibition has many regular participants and we also have a successful collaboration with FlowerFame, organizer of large collective stands and demo programs, as well as with Flower Circus, which will once again be present with a large number of growers." Step by step things are moving in the right direction in Ukraine. “Of course, there are still problems with the eastern neighbor, but considering everything, there is considerable economic growth, and purchasing power is increasing. In addition, the actual political situation, especially in view of the recent elections, is encouraging. 'Democracy in Ukraine is messy and far from perfect, but it's competitive,' as the former US ambassador recently wrote on Twitter. There have been no skirmishes, no rebellion, no big strikes ... Moreover, the elections are real, in the sense that there is a whole group of participants, the present leader might be punished and a comedian may be in the lead. There is a second round of presidential elections on April 21." In short, things are happening. “Some 45 million people live there, who, like the Russians, are all flower enthusiasts. There is a strong focus on their own production, but that is still limited. The largest rose grower in Ukraine is Ascania Flora with 22 hectares. 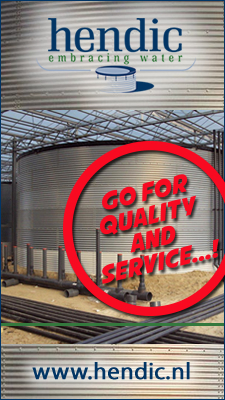 Despite the geopolitical challenges, the Ukrainian market therefore also offers opportunities. To give an example: in 2008, before the financial crisis and the 2014 crisis, the exhibition was twice as large as it is now. If all things concerning geopolitics fall into place, it can suddenly all be different soon because the large sales possibilities potentially still remain unchanged." For more information about the exhibition, please visit the Flower Expo Ukraine website.